The best piece to have next to your skin as part of a layering system for riding in damp or wet conditions. 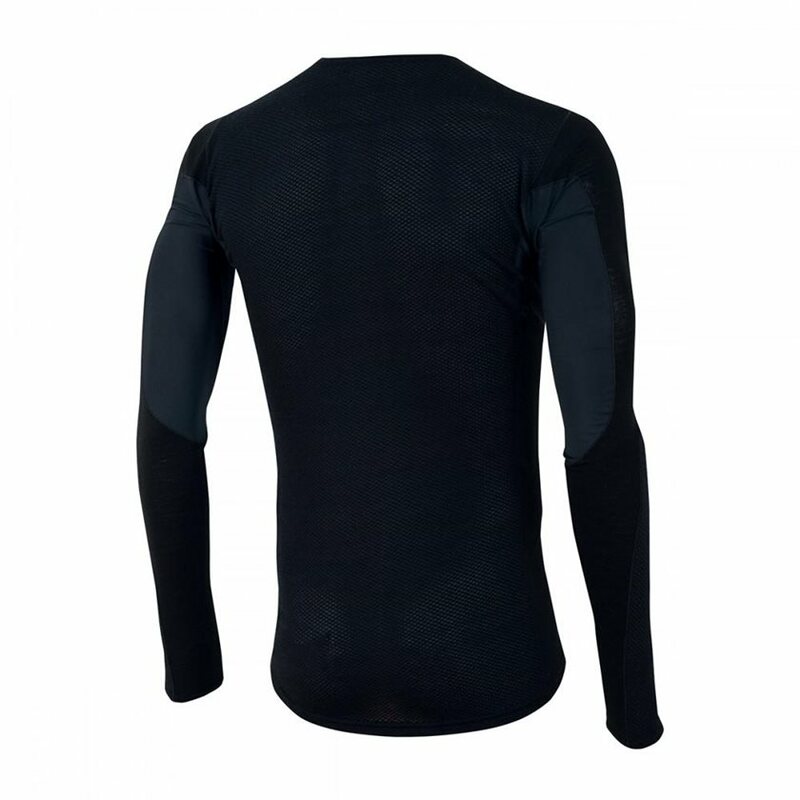 This baselayer combines high quality Merino wool and moisture-wicking polyester in a strategic blend for exceptional performance. It's cycling specific shape, thumb loops if you need to seal in the warmth, and soft merrow seams create a comfortable foundation for cold weather and changing conditions. The P.R.O. Transfer Dry Merino construction provides optimal moisture transfer, dry time and odor absorption. Cycling specific fit with rotated sleeve construction. P.R.O. Transfer Dry for optimal moisture management. Anatomic ‘close to body’ fit comfortably matches body movements. 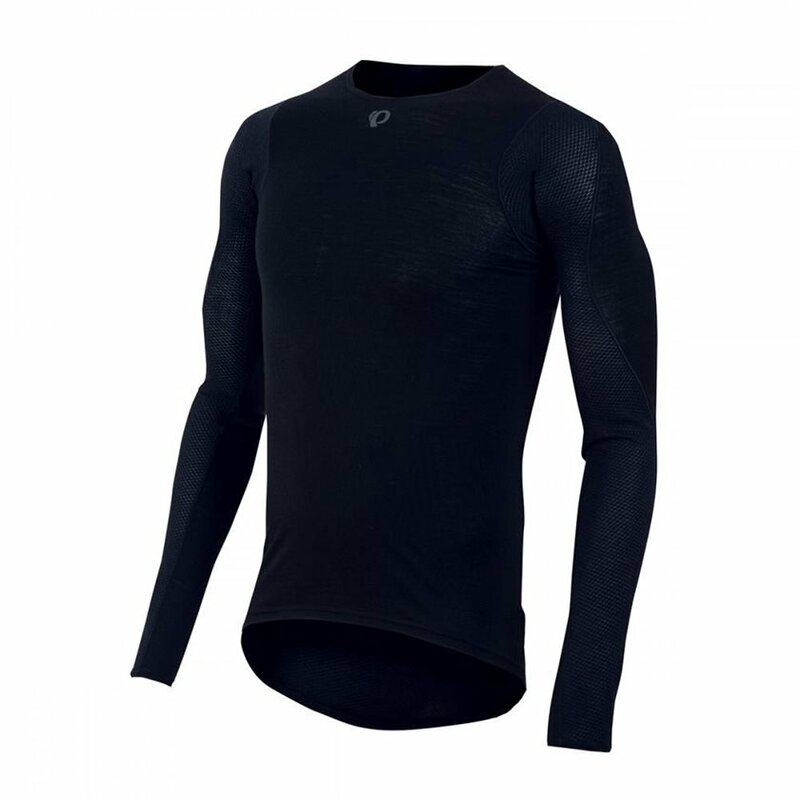 The Pearl Izumi Wool Base Layer is very body fitting (true to size) and keeps out the cold when you want to ride when the temperatures are 50-60F, however after just ONE ride and washing (never fell or snagged a tree) the right arm stitching is giving way/has a run. Not very impressed given how well made my other Pearl Izumi products have been.